Hello cupcakes! I hope you have all had an amazing weekend and are settling into the new week. 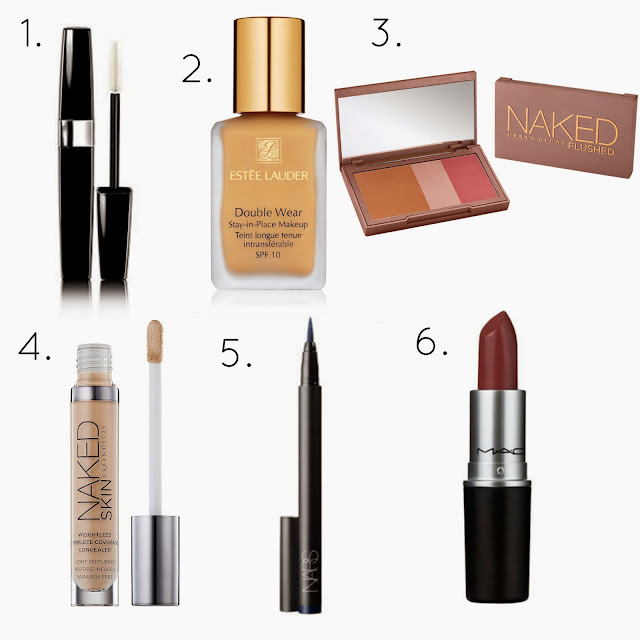 Today's post is a high end starter kit to follow up from my high street/drugstore make up starter kit. I have been asked a few times to do this so I have been really looking forward to writing this post. I have some amazing high end essential products that will be great for anyone wanting to build up a starter kit that contains everything you need to achieve every day flawless looks and beyond. Just like the drugstore starter kit I did a few weeks ago there are 7 key products - Mascara, Foundation, Concealer, Bronzer, Blush, Liquid Eyeliner and an everyday Lipstick. Of course you can add or change up what suits you or what you consider to be everyday, but for me these are an important set of products that you need to have to achieve any look. Here are my favourite key products to building a high end starter kit. 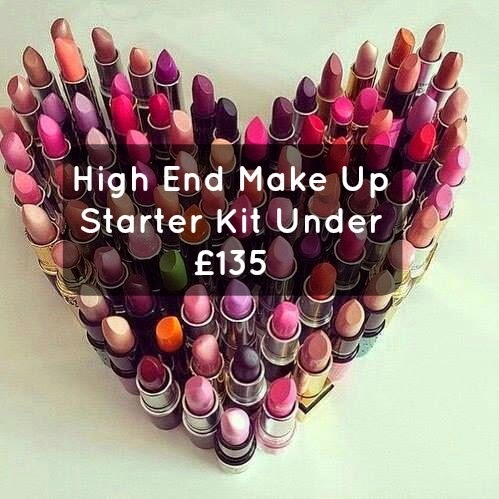 I don't tend to use everything high end in my make up bag on a daily basis and I think it's important to mix your high end favourites with your drugstore faves too, you can find my High Street Make Up Starter Kit Under £35 here. 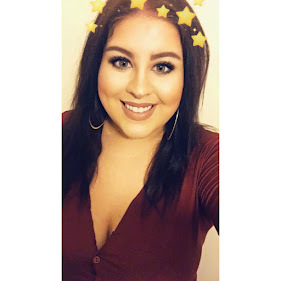 Leave me a comment below if you're loving any of the products I have featured or if you have a different product you would replace with one of the items I have listed. I love this idea and I NEED to pick up Estee Lauder Double Wear! I got a sample to try and fell in love.. I bloody love Estee Lauder full stop! This is such a great post and I also really want to try out the Estee Lauder Double Wear after hearing such wonderful things. I'm also yet to own a NARS product so anything of theirs is on my beauty wishlist. Estee Lauder at that price is such a good deal.